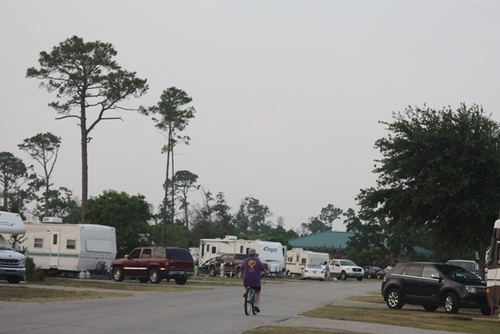 The campground has a camp store, laundry facilities, tennis courts, hiking and biking trails, nature center and a swimming pool with a splash pad. We also have 11 bathhouses in the campground that are all climate controlled. Come visit the Gulf State Park and enjoy all of the adventures we have to offer. Capacity: 496 sites, 11 bathhouses.